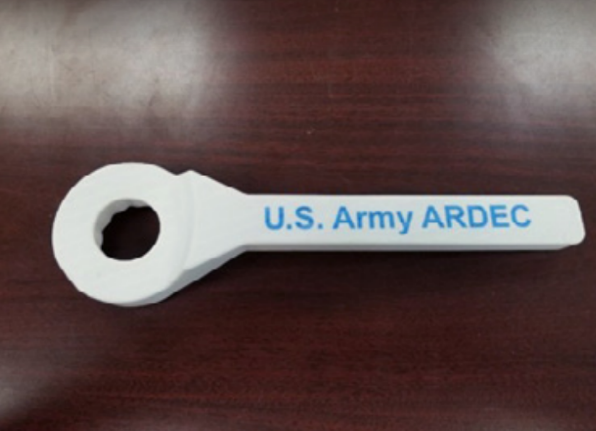 Marines at the MWTC along with the AM Team at the Marine Corps Systems Command (MCSC), recently worked together to 3D print snowshoe clips quickly and cheaply so that soldiers can be equipped with replacements if they need them in the field. The Marines have been using 3D printing regularly to create replacement parts, including a recent insulated radio cover. The radios that the Marine Corps use have lithium ion batteries that die quickly in the cold, so the AM Team designed a 3D printed cover that keeps the batteries warmer and helps them to last longer in wintry conditions.